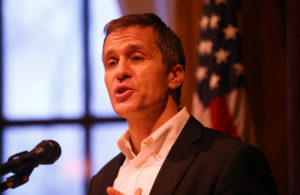 During a hearing Thursday, a St. Louis judge denied a request to dispose of a witness in felony invasion of privacy case against Governor Eric Greitens. 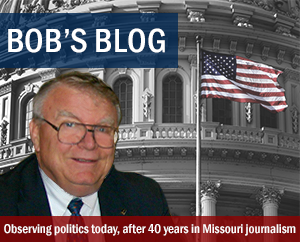 Circuit Judge Rex Burlison rejected a request by the defense to allow for deposition from the state’s former Democratic Party Chairman, Roy Temple. The defense wanted question Temple over whether he made payments to the ex-husband of the woman who had an affair with the Governor. In a separate matter, former FBI agent William Don Tisaby appeared for his deposition but refused to answer questions, invoking the fifth amendment. Tisaby, who was hired as an investigator by the prosecution, has been accused of repeatedly lying by the defense. Tisaby told the defense team he never took notes while conducting a January 29 interview with the woman Greitens was involved with. The defense has since obtained footage of what appears to be Tisaby actually taking notes during that interview. The prosecution has even made fun of the private investigator, on one occasion likening him to the bumbling Inspector Clouseau from the Pink Panther series. Tisaby is being represented by attorney Jermaine Wooton, who served as the attorney for the family of a teen who was fatally shot by St. Louis police in 2015.